Well, first of all, their concern is valid. 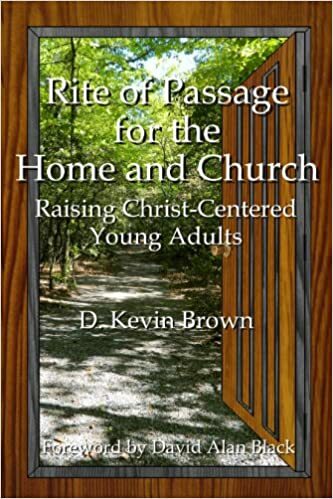 Studies continue to show that 70% or more of children who have been raised in Christian homes, will walk away from the faith by their 20th birthday. That thought still jolts me. Why does this happen? Why do we lose children, even though they grew up in a “Christian” home? Well, one of the primary reasons is because of the pagan culture we live in today. We live in a culture that is in total opposition to what the Bible teaches about life and living, and our children are immersed in that culture. We know we can’t keep our children in a bubble…yes…they must be protected and nurtured…but, they are going to be exposed to the pagan forces of this world in ways that we’ll never be able to totally control. So, what does the Bible say about raising children in a way that we will not lose them? I’m glad you asked! 4 Hear, O Israel: The LORD our God, the LORD is one. 5 Love the LORD your God with all your heart and with all your soul and with all your strength. 6These commandments that I give you today are to be upon your hearts. 7Impress them on your children. Talk about them when you sit at home and when you walk along the road, when you lie down and when you get up. 8Tie them as symbols on your hands and bind them on your foreheads. 9 Write them on the doorframes of your houses and on your gates. 13 Fear the LORD your God, serve him only and take your oaths in his name. 14 Do not follow other gods, the gods of the peoples around you; 15for the LORD your God, who is among you, is a jealous God and his anger will burn against you, and he will destroy you from the face of the land. I believe there are five things that we must understand if we don’t want to lose our children. What are rivals today? Well, I’ll give you what I think the number one rival is. Now this is strictly my opinion and I guess since it’s my blog…that’s what we’ll go with…ha! I sincerely believe the #1 rival of God in our children’s lives (and ours too for that matter), is too many activities…i.e., sports, classes of all kinds, running every night of the week, etc. Now please understand I have nothing against any of these things. My kids are involved in all sorts of things. But, there has to be a balance. We can’t be gone every night of the week and expect to raise Godly children. There must be time to teach the things of God. Can I be bold? I’ve learned that for most of us…when we were kids and we win trophies at 12, that most of the time by the age of 40 they end up in the basement or attic or the landfill. When we are never with our kids except for running them to and fro from this thing to that…then guess who is raising our kids? Not us! It’s the teachers, coaches, etc. Is this ok? Perhaps, you might say…”They are good people.” But, guess who’s responsibility it is to raise our children? Parents… That’s you and me! Love is a decision. It is a decision of the will…a choice we make, however, it is not void of emotion or feeling…men, nor is it led by just emotion and feelings, ladies. You’ve heard the man who says, I don’t need to tell her I love her, once at the altar was good enough, if I change my mind, I’ll let her know. While that may be funny…it’s certainly the wrong philosophy! What emotion does your children see you exhibit toward the Lord? I tell you, I try to make my kids blush at least once per week as I love and dote on my wife in front of them. Nothing out-of-place or wrong here…just hugs and kisses that make them say, “Aw daddy!” But, they love it. They feel secure when they see that I show love and affection for their mother and it models it for their future marriages. By the way, where do you think children learn to love God? From us!!! If we get mad and walk out on each other, then it teaches the kids that God made do the same to them. It’s a Scriptural program. Why do we need ROP? Well, when does a young person become an adult? Well, we don’t seem to know. So, we, the church want to help. But, it’s not the churches job to do the work of raising everyone’s child. The Bible tells us that parents are responsible for raising the children…not the schools, coaches, teachers or, again, the churches. But, it goes deeper than that. We say it’s the job of parents to raise the children, but do you know who Moses was talking to specifically here? He’s using the masculine singular in this passage in Deut. 6? And that means the Lord is principally talking the Fathers and tells the Fathers it’s their responsibility to lead. You say this is Old Testament. Well, Ephesians 6:1-4 tells us something very important…particularly look at verse 4. 1Children, obey your parents in the Lord, for this is right. 2“Honor your father and mother”—which is the first commandment with a promise— 3“that it may go well with you and that you may enjoy long life on the earth.” 4Fathers, do not exasperate your children; instead, bring them up in the training and instruction of the Lord. Who’s the direction given to? The Fathers! Do you see that? It’s the Father’s job to lead out in the training and instruction of the Lord! It’s not that the mom’s aren’t involved. Of course they are! In fact, mom’s often are the ones who have the greatest impact on a child in many ways. Yet, the dad’s are to set the tone and be INTENTIONALLY INVOLVED. Boy have we missed that in our culture! Please hear my heart. It’s not the church’s job to disciple your children. Anything the Bible tells you to do that I, as a Pastor or the church, does for you, in essence, serves to cripple you and impair you from doing your job. I or other pastors are simply crippling you and ultimately, (speaking for myself), I’m being disobedient to the Word. Have you ever thought about this? What we make our children crave, love and desire is more important and has more impact on their lives than what we make them learn? You may need to read that again. What do your children crave and desire? If it’s not God and the things of God, then you have a priority problem in your home. I encourage people to place verses of Scripture on their bathroom mirrors, the walls of their houses in frames, etc. Even make smells in your house mean something. Pictures on the walls should depict your home as marked territory of God. As believers in Christ we should say, “I’m not going to have anything in my house that doesn’t point to Jesus and show that we are His children.” Make it a goal to touch all the senses of your children in your home. We have food from a CrockPot many Sundays because of the hectic pace of the day. Pam puts the food on and it cooks while we’re gone and the children associate the smell of food from the CrockPot very often with the Lord’s Day. Isn’t that neat? Another example is the use of a Bible…an actual Bible that you read from in your home. Then pass that Bible down to your kids. I’ve done this with my Bibles as I use them and wear them out. Each of my four kids have an old Bible of mine now. I’m working on the grandchildren now. I pray those old Bibles mark their minds that Daddy (Papa for the grands) loves the Word of God…and loves them! As another side note, (this is for the ladies who may be reading this), it’s ok to want to and have the desire to spend your time raising your family. Don’t let anyone tell you otherwise. This used to never be questioned. 75 years ago…when this nation had a lot less…all the mommies stayed home and took care of their families. Now look at what we have? We’ve gotten “wealthy” and prosperous with our two-income families (trying to have it all) and look at the moral decay of our nation. Now, don’t misquote me and say that just because women have gone en masse into the workforce over the last 75 years that is the reason why the country is sliding into moral decay. But, I promise you…isn’t hasn’t helped. It is God’s ultimate and first purpose for a mom to be able to manage and care for her home as the first priority. If you can work outside the home while making your home the first priority…then that’s wonderful. But, the home is to be the first priority. The Bible tells us so. By the way, it’s ok to come home from work at quitting time too, dads! One of our biggest problems is that we’re like hamsters running on a wheel. We are all running around crazy and are worn out and tired and beat to death. I just read a statistic last week that said kids, when asked what they wanted most from their parents, wanted them to not be so stressed out and tired all the time. That’s pretty amazing. Of all the things they could have wanted and that’s what crept to number one. One last thing…do you know what else the study revealed. It was simply…this: If you were to ask your child if they could trade more of Dad and Mom in the home for more house, more vacations, more stuff, more gadgets and trinkets (those are my words for what was said to be “material possessions”), what do you think the kids would say they wanted? They said, “No. I’d take more mom and dad.” Don’t believe this is true? Just ask them. They want you! I promise. At the end of your life, the most important thing that you will leave to those you love is the memory of simply being with them. It won’t be the houses, cars, money, material stuff… No, it will be you. Just you. And the truth is: that’s what matters the most to the ones you love most now…today…at this very moment. So, think about that as you pursue life and remember that people are more important than things…every time! So, how do we make sure we don’t lose our kids to the world? We must: #1 Worship God without rivals, #2 Build our homes on God’s love, #3 Teach them diligently, #4 Mark you home as God’s territory and #5 Keep your prosperity in check. I’d add one last thing…pray, pray, and pray some more…for all you are worth! We’re in the battle of a lifetime for our children. Let’s not lose them! The statistics are stacked against us! But, we can do all things through Christ and we’re more than conquerors…but, we better prioritize our lives and be INTENTIONAL if we want to have our kids in the percentage who will remain faithful and serve Christ. 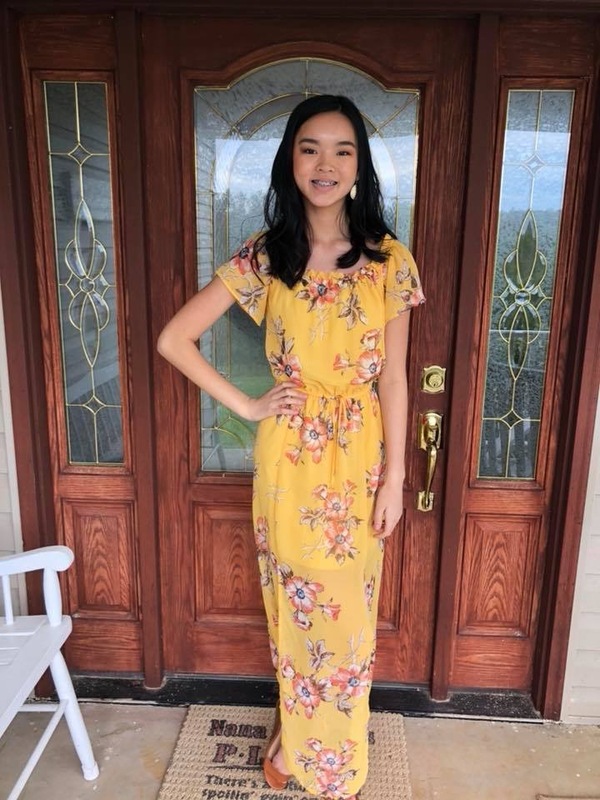 Happy Birthday to this lovely young lady…who is now a teenager today!!! Amazing!!! I love you with all my heart Clara!!! Here is this week’s Two-Minute Tuesday. It fits the topic of today’s post quite well.